Two children dash past gravestones playing hide-and-seek. A freshly dug grave should provide the ideal hiding place, if it weren’t for an unscheduled body occupying the spot. 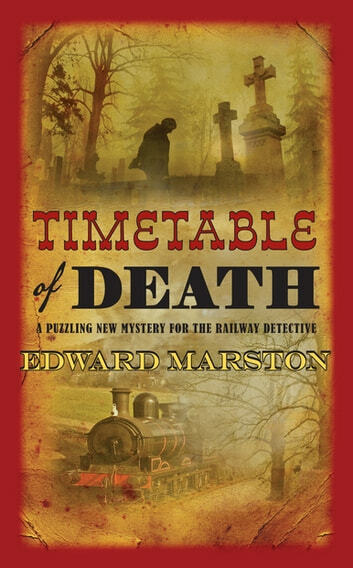 The body is that of Vivian Quayle, director of the Midland Railway and pillar of the community, whose mysterious death baffles local police and necessitates Scotland Yard’s assistance. As Inspector Colbeck and Sergeant Leeming piece together the victim’s final moments, and suspects and motives multiply, an unpleasant picture emerges. This is a case only the Railway Detective can solve. Very good, but very perdictable. Conflict between Tallis and Colbeck, Leeming gettng the dirty end of the stick, Caleb Andrews poking his nose in and Madeline Colleck helping to solve the case.